Directly across from Kamaole Beach Park III, the Maui Kamaole Resort is a modern condominium complex with tropical gardens, heated pool, jet spa, tennis courts, and barbecue facilities. Both one- and two-bedroom units provide amenities including washer and dryer, a full kitchen and a spacious lanai offering spectacular views. 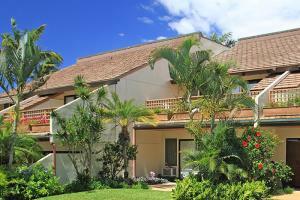 Maui Kamaole is located across the street from Kamaole III beach in beautiful South Kihei. Kitchen facilities, many fine restaurants and shops are just a walk or short drive away. Helicopter Tours, Hana Adventures, Sailing Trips, Wailea's Finest Luau, Hike Maui, Golf, Snorkeling, Scuba.